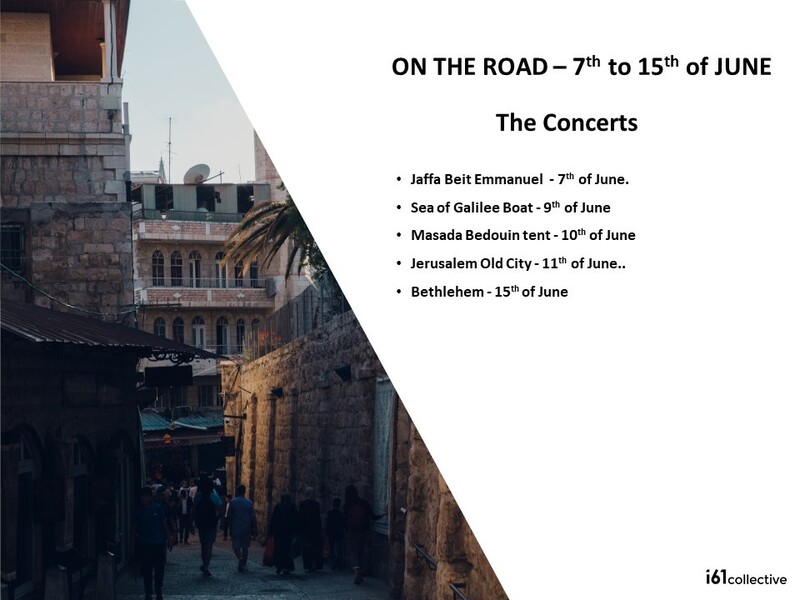 In June 2018, we are taking a group of musicians to Israel and Bethlehem. 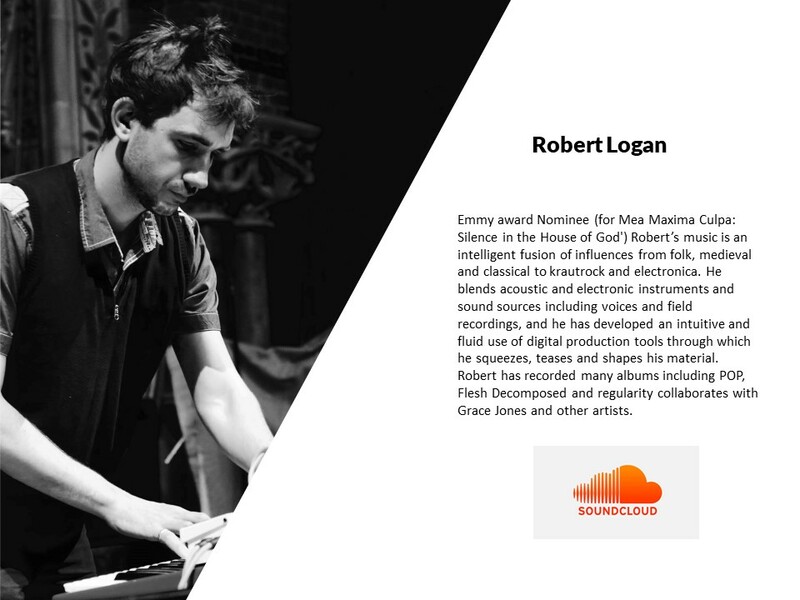 We want to build bridges and inspire the the people who live there through music and culture. We want to invest into this land and focus on building relationships with people from all walks of life, races and religions. We believe that music has the power to unite and restore lives. Music has no borders and lives "on the wind". 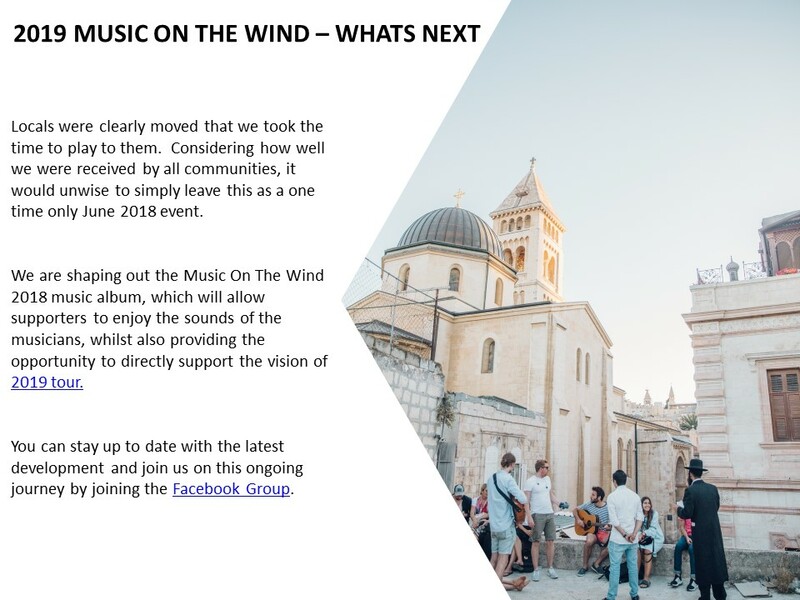 The concerts will be sponsored by the clothing brand, I61 Clothing, an ethical fashion brand that has a heart to use fashion as a tool for good. 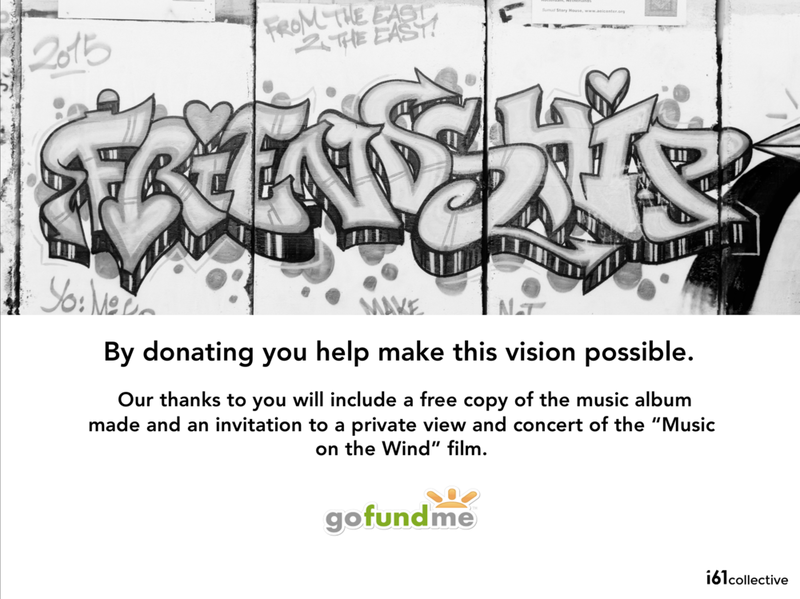 The money raised will cover all of the expenses of the musicians and the concerts themselves. We will also use some of the money to document (through film and photography) this trip and share it with you after the event. We are taking seven musicians, two film makers, two tour host and concert planners and one guide. 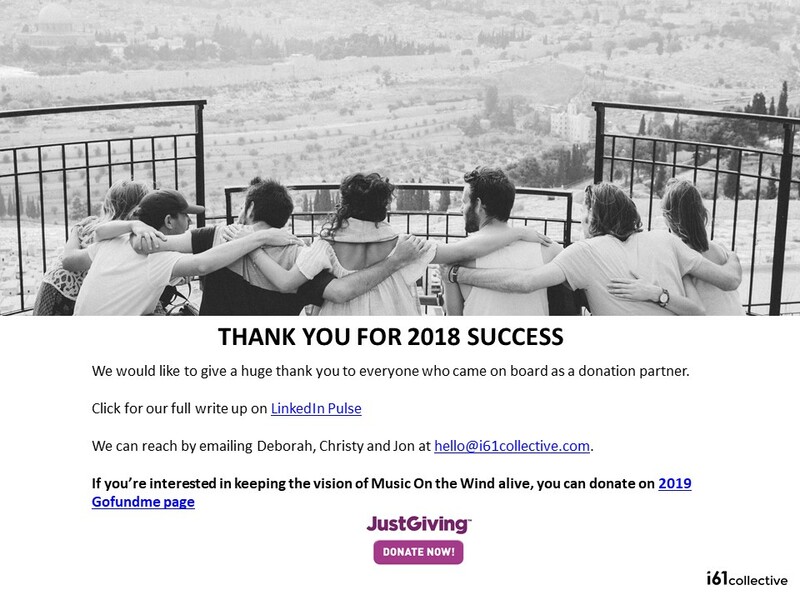 We hope you will be inspired to help us on this journey.